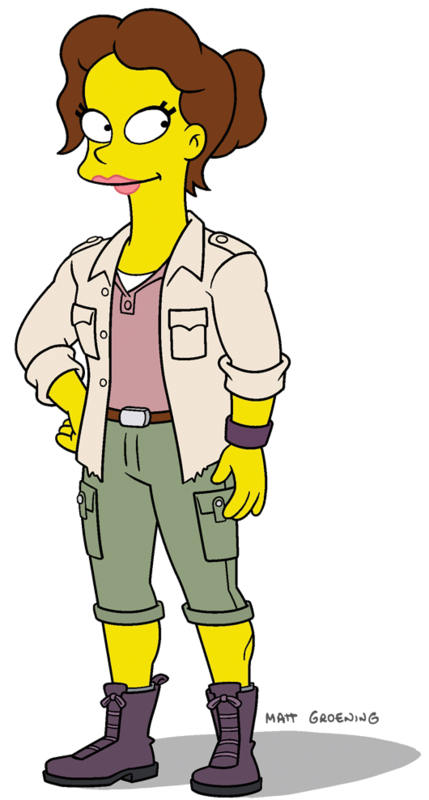 Carol Berrera was a temporary teacher for Bart's class and was in the army. After Edna Krabappel's passing, Carol Berrera was introduced as Bart's new teacher. When Bart started to drink a Milk filled with hormones he started to experience early puberty and he fell in love with Mrs. Berrera. Skinner also fell in love with her, and she initially chose him. They dated for a short time until they went Ice Skating, when she met his mother and left him because of that and went back to the army. Skinner mentioned she has a cat with different colored eyes named "Bowie". In a coma dream that Bart had, Mrs. Berrera was on the wall of Ned Flanders' dead wives. ↑ "Teenage Mutant Milk-Caused Hurdles"
Modified on May 21, 2018, at 09:23.